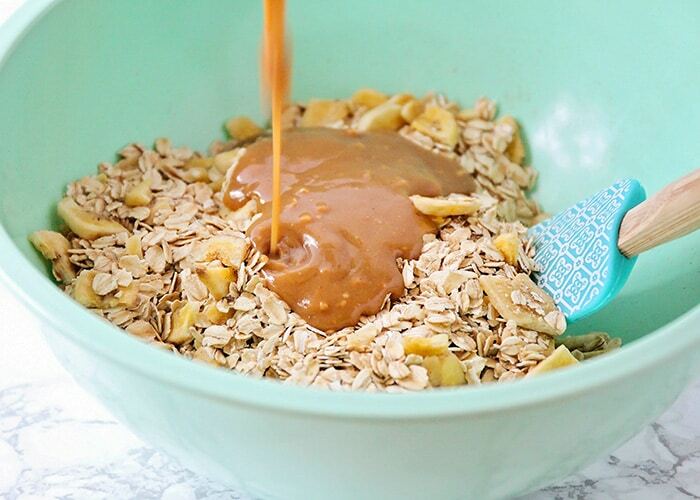 This homemade banana peanut butter granola is so delicious, and healthy too! 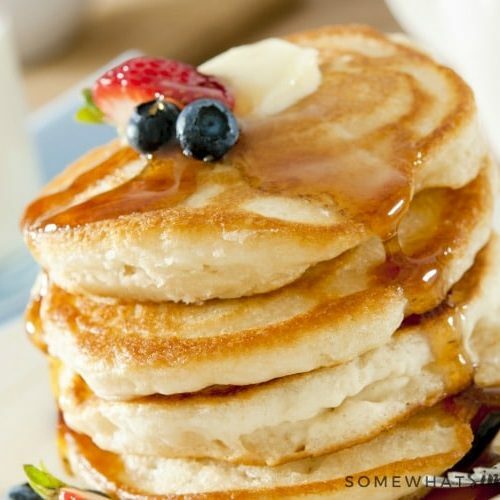 It’s perfect for a quick snack or a tasty breakfast! Who else is excited to start eating healthy again, now that the new year has started? During the holidays, there were just too many fantastic treats around to tempt me, and my eating totally fell off track. I’m excited to have a fresh start and a recommitment to healthy food! When it comes to healthy eating, one of the things I struggle with the most is healthy snacking. 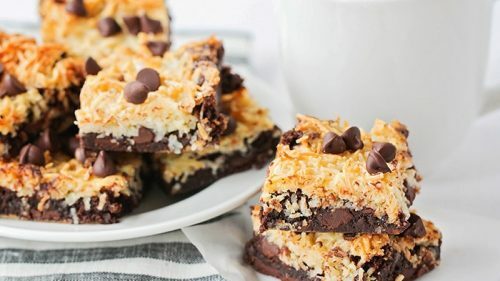 When that mid-afternoon slump hits, it’s all too easy to grab a handful of chocolate chips or eat my kids’ leftover snack crackers, instead of putting in the effort towards preparing a healthier snack. 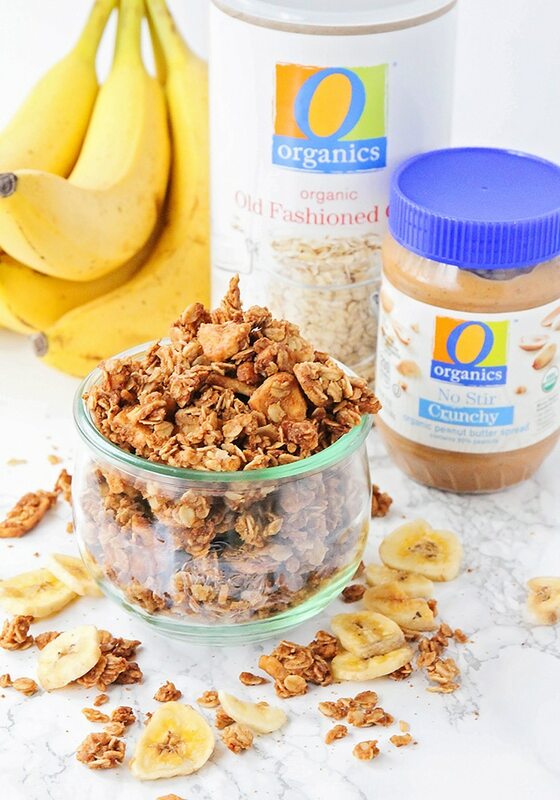 This peanut butter banana granola is the perfect solution! 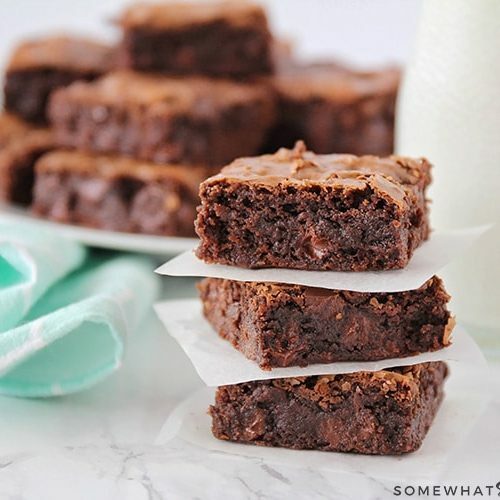 It’s easy to make, full of healthy ingredients, and you can make a big batch to have on hand whenever the snack cravings strike! I found everything I needed to make this delicious granola at my local Safeway store. 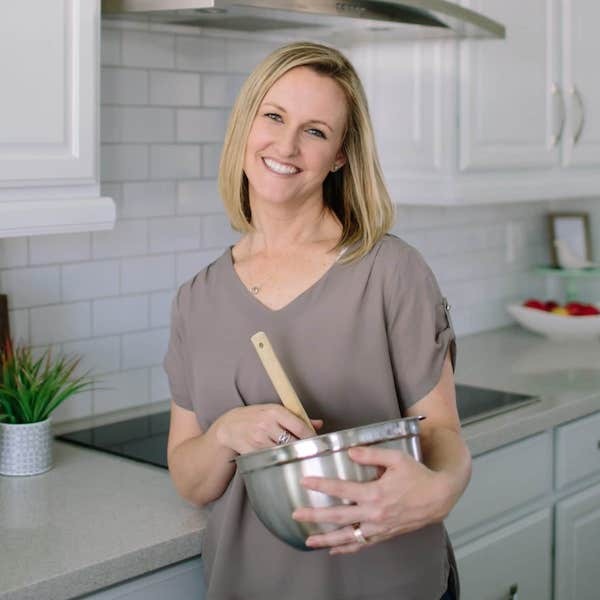 The O Organics® line, available in my area exclusively at Albertsons and Safeway stores, offers USDA certified organic products for creating delicious, healthy and affordable snacks the whole family will enjoy. 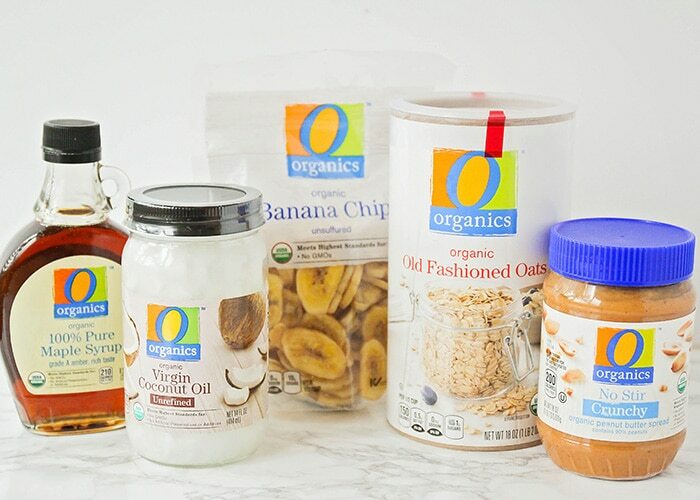 The O Organics line is exclusive to the Albertsons family of stores, and has a wide variety of organic foods in every section of the store, from produce to dairy products to pantry staples. Albertsons and Safeway believe that great-tasting organic food should be available to everyone at a great value. Shopping at my local Safeway store is always a good experience. The store is clean and bright, the employees are always helpful, and I love that I can zip in and out and get on with my busy day! 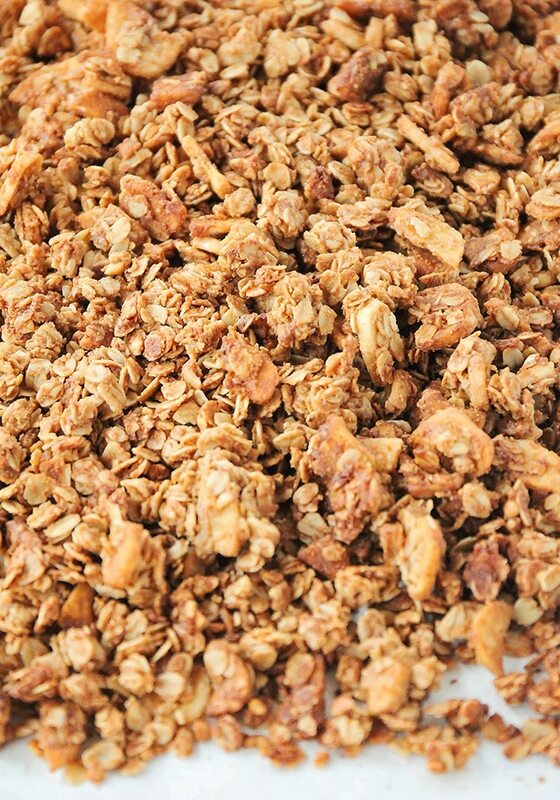 This granola is simple and quick to make, with just a few pantry staples from the O Organics line. My kids absolutely love their banana chips and ask to have them as a snack frequently. 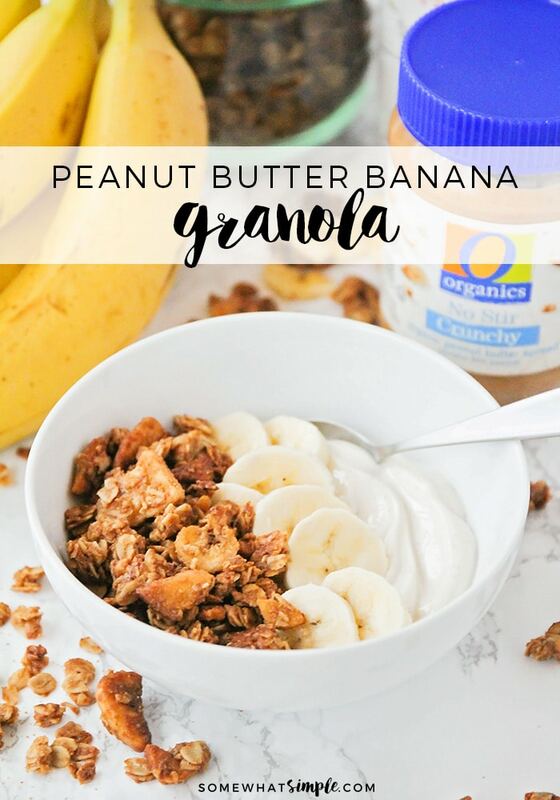 They have a really great banana flavor, and the perfect amount of crunch, so I knew they would be fantastic in this granola! 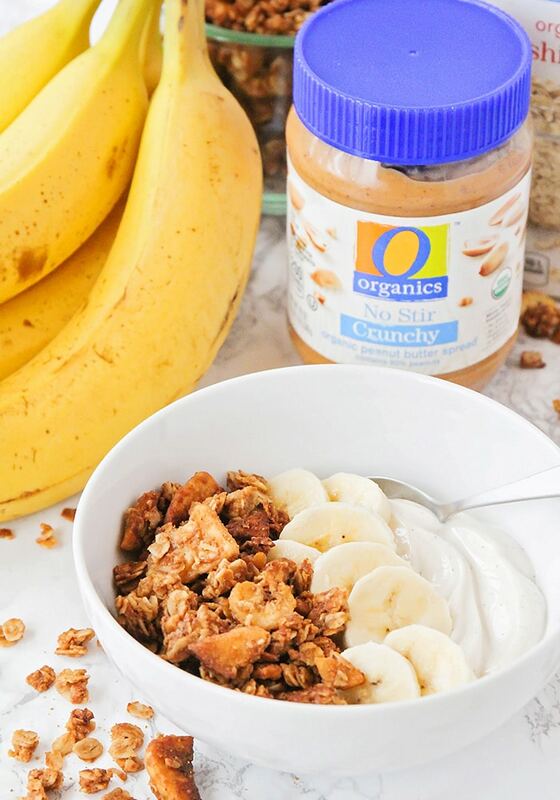 We also love to use the O Organics no stir crunchy peanut butter for everything from peanut butter and jelly sandwiches to Thai peanut noodles. I love that the O Organics products are really high quality but still very affordable! I buy my O Organics and Open Nature® products at my local Safeway and Albertsons, and you can also find them at all Albertsons Companies grocery stores, including ACME Markets, Jewel-Osco, Vons, Pavilions, Tom Thumb, Randalls, Shaw’s, Star Market, United Express, United and Carrs/Safeway. 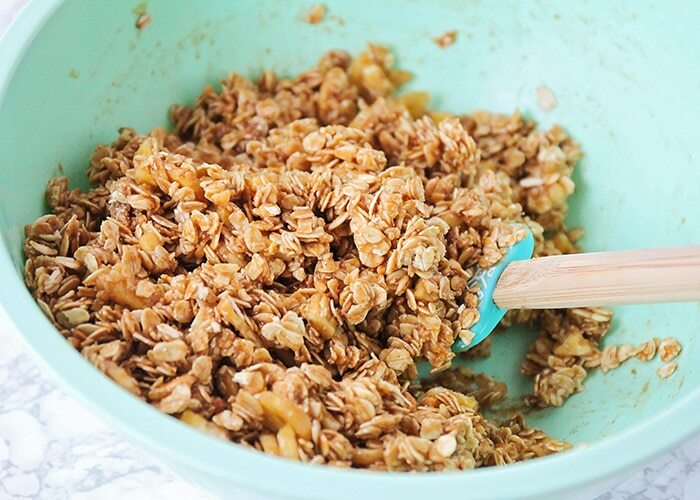 To make the granola, you’ll start by mixing together your oatmeal, salt, and some banana chips. I just sort of loosely chopped them to break them into slightly smaller pieces, to make the granola a little easier to eat. You can definitely leave them whole instead, if you prefer. Next, you’ll melt together the peanut butter, coconut oil, maple syrup, and vanilla. 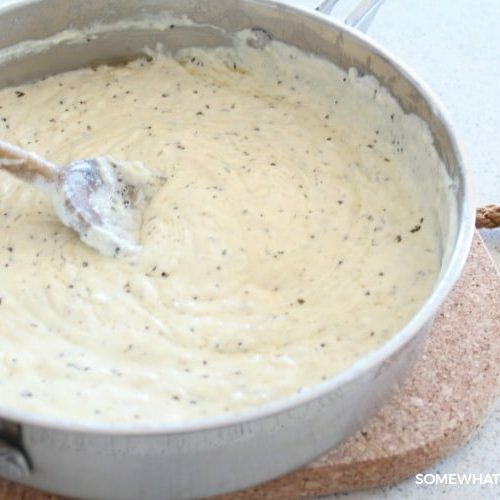 You’ll just want to heat the mixture until it’s warm and well blended, but don’t let it simmer or boil. When you mix the two together, it starts to look like granola! 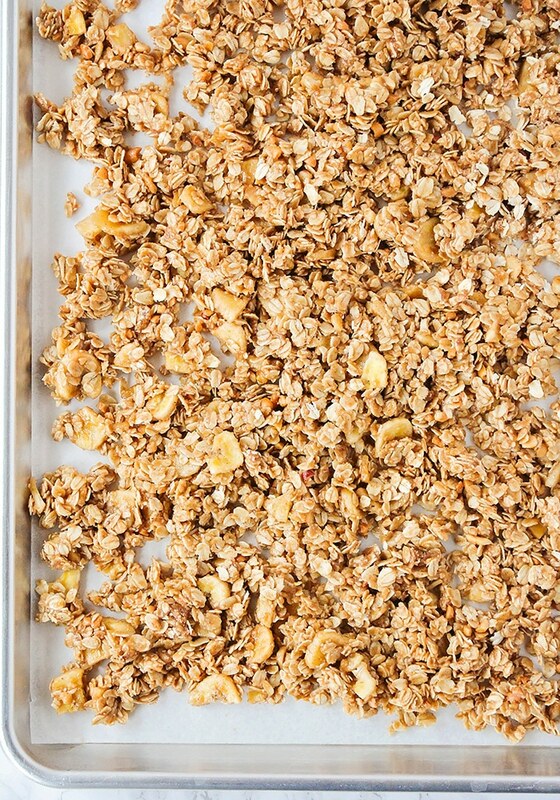 Spread your granola mixture out on a baking sheet in an even layer, then bake it in the oven until crisp and golden brown. The granola smells totally amazing while it’s baking! 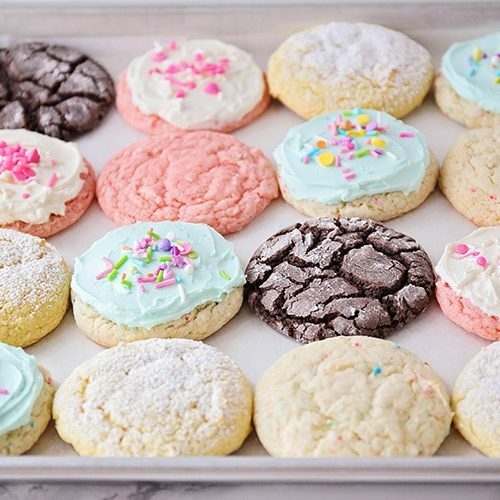 I think every single member of my family came into the kitchen while it was baking to ask me what smelled so good. Peanut butter and banana are always a great combination! 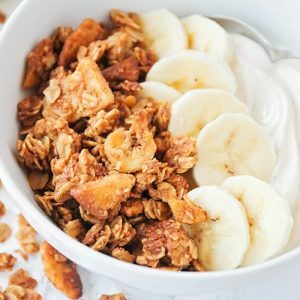 This peanut butter banana granola is perfect as a quick breakfast with milk, or a delicious snack. My kids like to put it in little baggies and carry it around with them, so they can snack as they go. 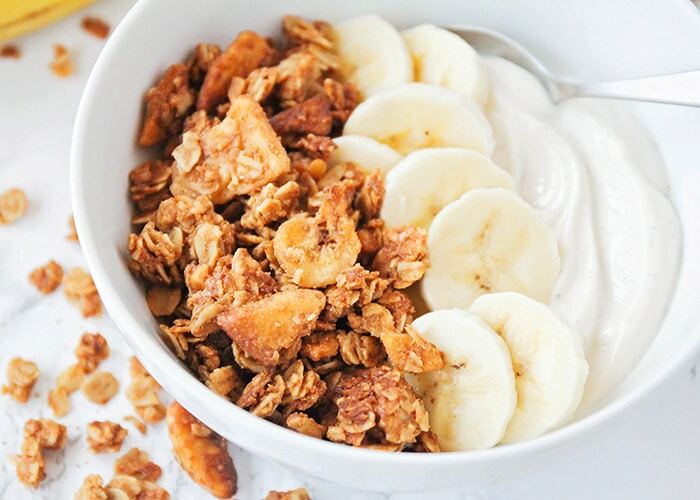 My favorite way to eat the granola is to make a little bowl with vanilla yogurt, sliced bananas, and granola. 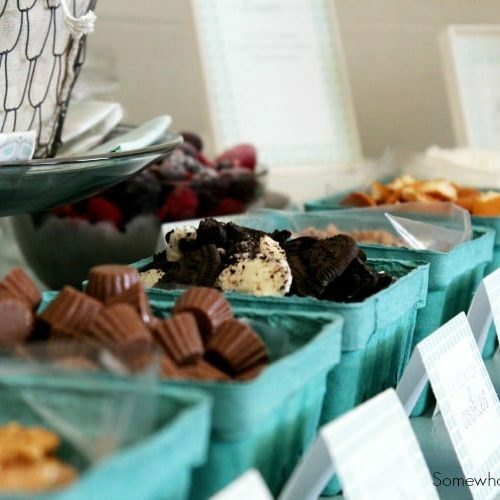 It totally fills me up and satisfies my sweet tooth, while still helping me stay on track with healthy eating! This homemade banana peanut butter granola is so delicious, and healthy too! 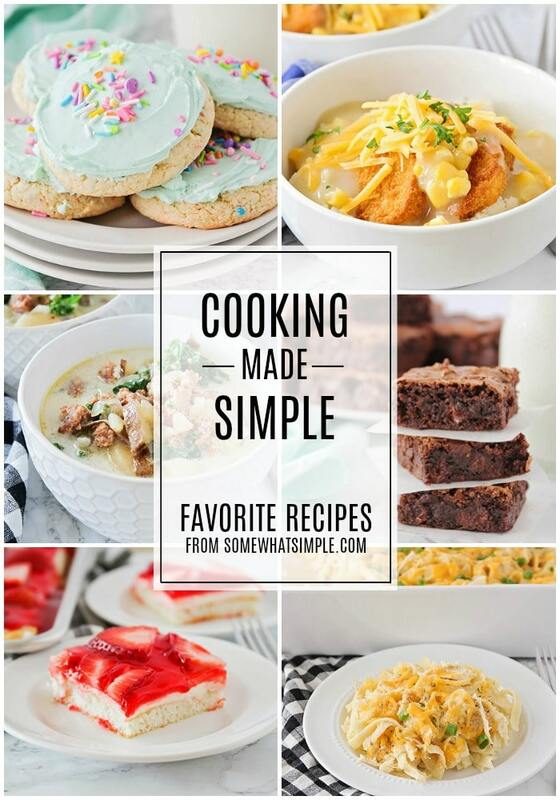 It's perfect for a quick snack or a tasty breakfast! Preheat the oven to 325. 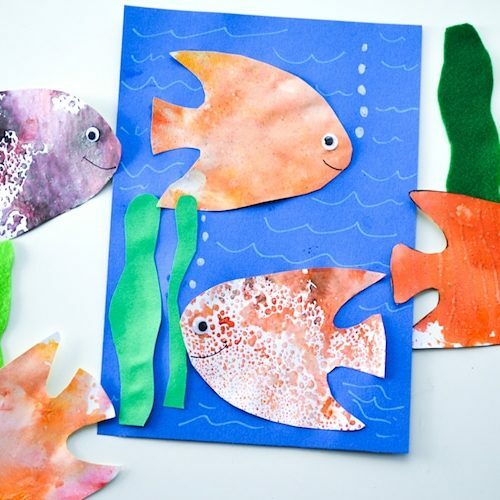 Line a baking sheet with parchment or foil, and set aside. 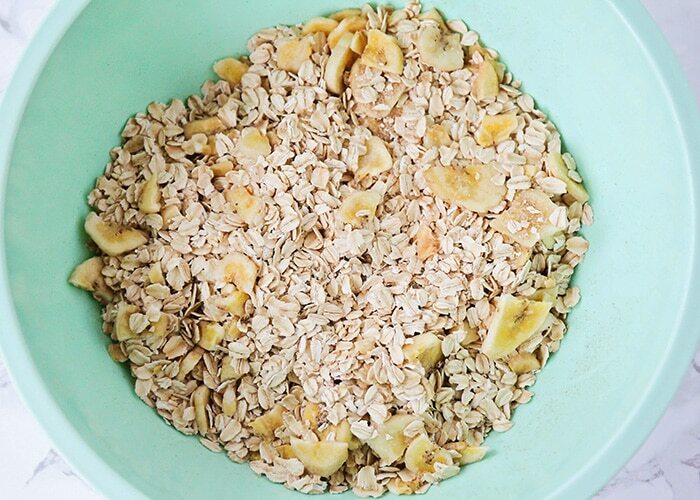 In a large bowl, mix together the oats, banana chips, and salt. In a medium sauce pan, stir together the peanut butter, maple syrup, coconut oil, and vanilla. Heat over medium heat, stirring frequently, until the mixture is smooth. Pour the peanut butter mixture over the oat mixture and toss to combine. Spread in an even layer on the prepared baking sheet. Bake 20-25 minutes, stirring halfway through, until golden brown. Allow to cool completely, then store in an airtight container. This looks SO good!! I’m definitely going to make this soon.